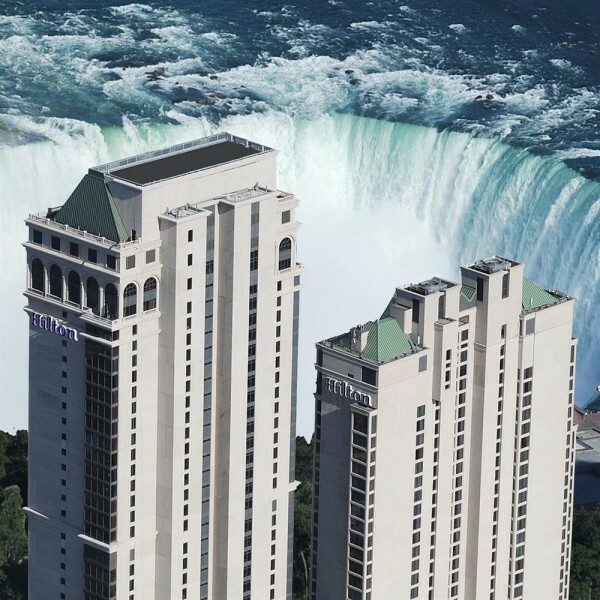 Orlando, Florida – April 21, 2016 – (INTUITION by Perspective Group) – The Canadian Resort Development Association (CRDA) is delighted to announce that the 2016 Canadian Resort Conference (CRC) will be held on September 13th and 14th at the Hilton Niagara Falls, voted among the ‘Top 10 Hotel Room Views In The World’ by TripAdvisor. CRC 2016 will kick off with its infamous speed networking session, providing delegates with the opportunity to meet with dozens of industry executives from all over the globe on a one-on-one basis. During this popular event, participants provide two-minute introductions about their products and services in back-to-back meetings. Following thereafter, a two-hour cocktail reception will take place at Myst, the hotel’s ultra-chic lounge located on the 33rd floor offering spectacular views of the majestic falls. Attendees will enjoy live music, premiums drinks, and Hors d’oeuvres. “The Board is excited about the upcoming conference in Niagara, we look forward to being able to provide a place where our members and delegates can forge new business relationships in the Canadian marketplace and build on existing ones.” said Dianne Hounsome, Chair of the Board of CRDA. CRC draws senior-level decision-makers from all parts of Canada, the United States, Mexico, the Caribbean and beyond. As it continues to grow, this annual conference welcomes executives within the vacation ownership industry who are looking to make new business contacts, form strategic partnerships, and gain insight on the Canadian marketplace. For the past two years CRC has been produced and hosted by Perspective Group on behalf of Canada’s official timeshare industry trade body, CRDA. “As the conference continues to evolve, we have seen attendee satisfaction increase. We are confident that the 2016 conference will not only to live up to, but exceed the expectations of our attendees.” said Jon Zwickel, President and CEO of CRDA. According to the 2015 CRC attendee survey, 50 percent of attendees thought the conference was better than in previous years and 99 percent of attendees believe they would secure new business as a result of attending. CRDA is an industry-based association committed to furthering Vacation Ownership in Canada and throughout the world, and this annual conference serves as an opportunity to bring together association members and non-members who are interested in gaining more knowledge about vacation ownership and the resort marketplace. Confirmed sponsors for CRC 2016 include Resort Travel & Xchange, Cancun for Canadians, DAE, Interval International, VacationCondos.com, Timeshare Pro Plus, National Timeshare Owners Associations, weholi and INTUITION Brand Marketing. Canadian Resort Conference (CRC) is an annual event produced and hosted by Perspective Group, the vacation ownership industry’s leading PR & Multimedia Company globally. CRC attracts senior-level executives from Canada, the United States, Mexico, the Caribbean and beyond. It provides a crucial networking platform for those interested in entering the Canadian resort marketplace, and those who want to find strategic partnerships with other international companies. For more details visit www.canadianresortconference.com.